In business, actions have consequences. But sometimes, the consequences are even worse for a failure to act. Take ransomware. 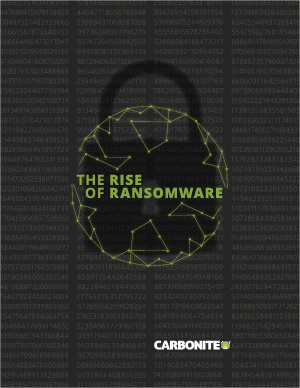 A new report from Carbonite, an industry leader in cloud backup, and the Ponemon Institute, an independent research group, shows that smaller companies are at great risk from ransomware—precisely because they believe they’re not at great risk from ransomware! Lack of preparation leads to vulnerabilities, as the survey data shows. Download “The Rise of Ransomware” to learn more about this growing epidemic, and discover the simple steps you can take to help inoculate your systems and your business.